I read this article and found it very interesting, thought it might be something for you. 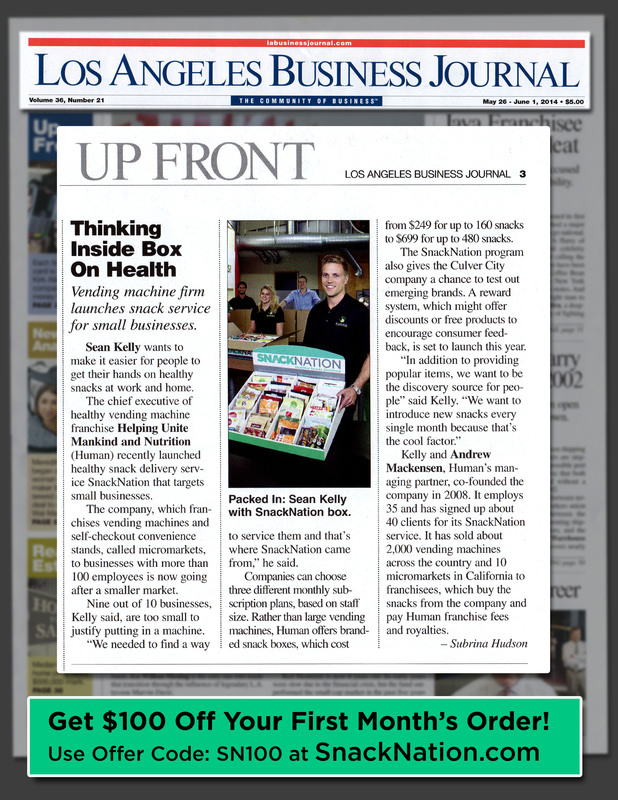 The article is called SnackNation Gains Traction as LA’s Top Snack Delivery Service and is located at http://www.healthyvending.com/blog/snacknation-gains-traction-las-top-snack-delivery-service/. 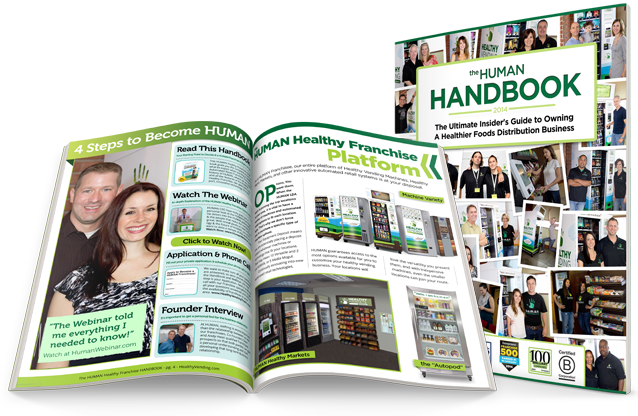 HUMAN has launched the SnackNation blog – a resource for anyone looking to learn about the latest healthy snacks on the market and gain insight from the world’s top nutrition and healthy lifestyle experts. 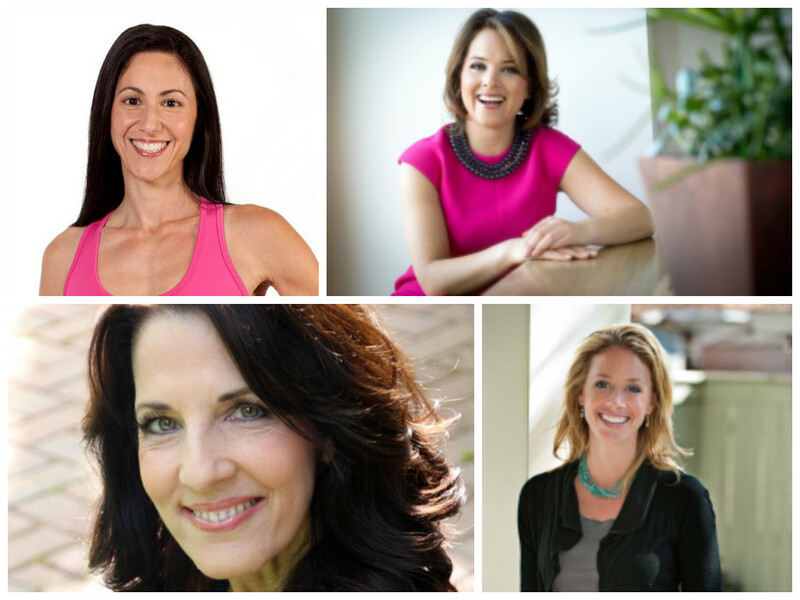 NEW on the blog now: We recently interviewed 10 top nutrition and healthy lifestyle experts who shared their favorite nutrition hacks that will make it easier for all of us to eat well with less effort. Check out the nutrition hacks article HERE. We are offering $100 off to anyone who uses promo code: SN100 with their first business order. For information on having the ease of healthy snack delivery to your business, click here. For information on having the ease of healthy snack delivery to your home, click here. For information on having a healthy vending machine or a micro market at your location, please click here.